Contact So Cares CCACF at SoCares Wyong Animal Care Facility to express your interest. Another successful adoption - amazing work SoCares Wyong Animal Care Facility! 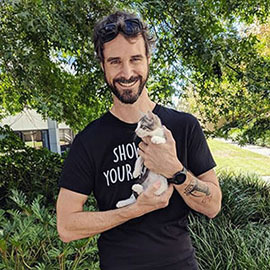 More successful adoptions - amazing work SoCares Wyong Animal Care Facility! Are you looking for a instant family? Well Abra & Cadabra could be it? 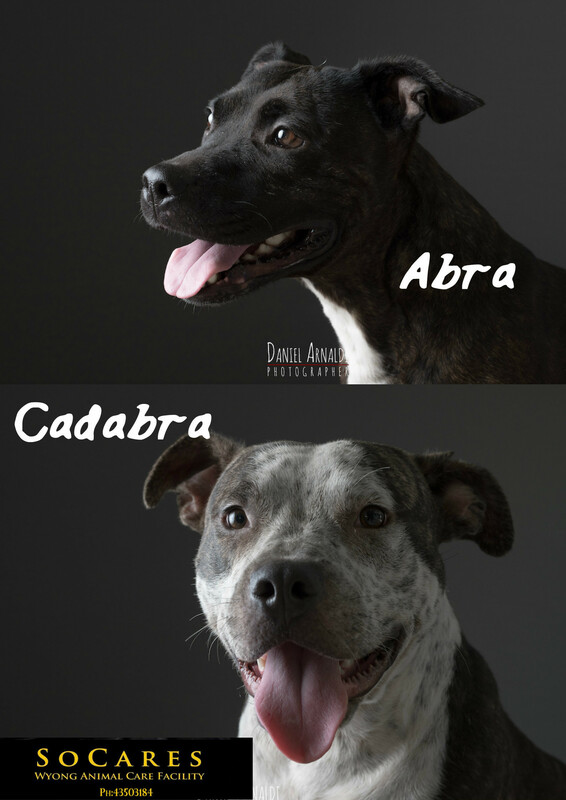 Abra and Cadabra are a delightful pair of lapdogs. 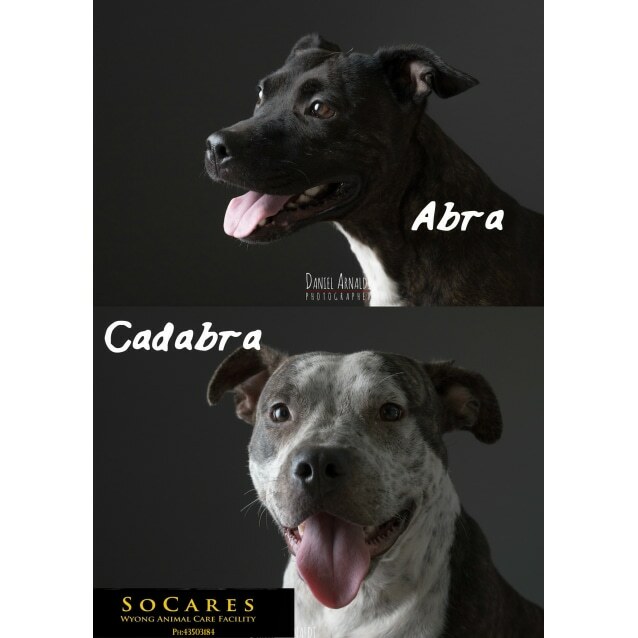 Abra is a sweet but sassy girl and Cadabra is goofy, very sweet with a quiet nature. Both are of medium size and dog friendly. They both love their daily walk and they are perfect to walk together on a double dog lead. They are best of friends so they need to find home together. 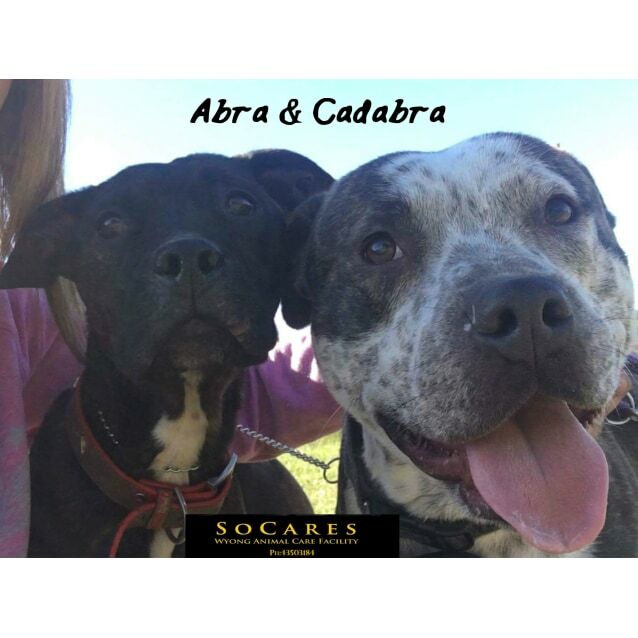 If you would like to meet Abra and Cadabra please come into the facility during opening hours. Dogs and cats come microchipped, lifetime registration, desexed, vaccinated and with a 14 day health & trial period warranty (please note that SoCares reserves the right to conduct home and yard checks prior to adoption). 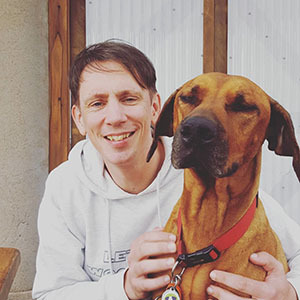 DOG ADOPTIONS: We like to make sure all dogs and their new family (human and four legged) are a suitable match so if you have other dog/s we always book a meet and greet at a time suitable for you to ensure they will get on.